Happy Chinese New Year! 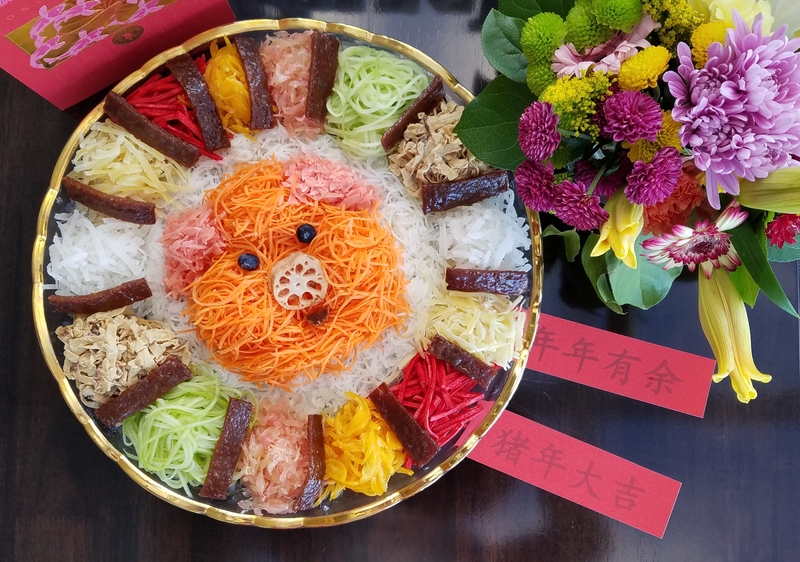 Yu Sheng is an iconic Singapore dish for CNY celebration. This is our version of fish-less Yu Sheng. We replaced the fish with Bak Kua, fitting for the year of the Pig? Since I couldn’t find mung bean skin, I’ve also substituted it with bean curd skin. Use your imagination with the ingredients and have fun preparing and enjoying this CNY salad with friends and family.